Medical Records proudly presents the singles collection by UK’s Play as the second in a series of crucial reissues from the Survival Records imprint. Play was made up of Wayne Kennedy and David Rome, and all of their output was released on Survival (home to Drinking Electricity, Hard Corps, and Richard Bone). 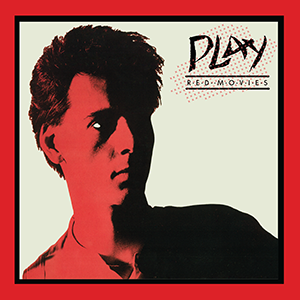 Play released 3 singles between 1982-1984, and a compilation LP “Red Movies” in 1985 (which compiled a majority of the singles but not all). All of these singles are now out of print and collectable. The Medical Records reissue of Red Movies is complete with 2 extra tracks not featured on the 1985 compilation LP including 3 remixes. The LP features preserved original front cover art . Back cover art is slightly modified to include updated credits and additional photos of Wayne Kennedy. Pressed on high quality 180gram “half and half” colored vinyl (blue and red) in a limited edition. The LP is out on September 17, 2013.